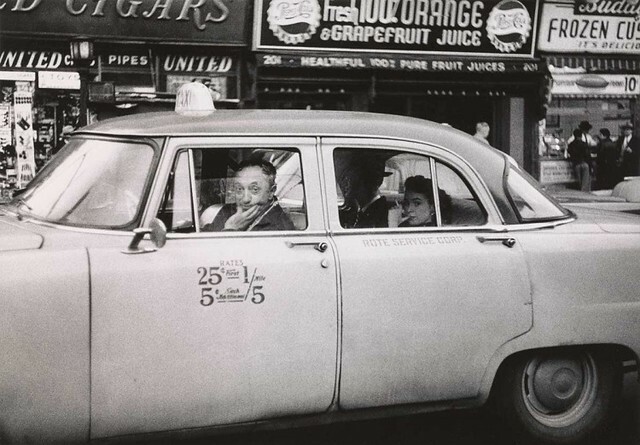 Taxicab driver at the wheel with two passengers, N.Y.C. 1956 Gelatin silver print. The Metropolitan Museum of Art. © The Estate of Diane Arbus, LLC. Todos los derechos reservados.